Use our 2018/19 income tax calculator to work out how much income tax you’ll pay from 6 April 2018, and what the income tax rates are for the 2018/19 tax year. 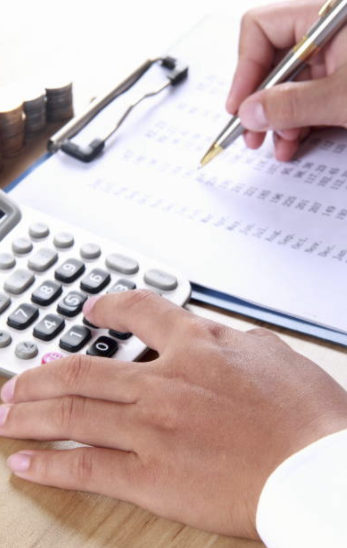 You can find out everything you need to know about income tax in our tax & allowances page. But this tax calculator can help you work out how much income tax you’ll pay in the 2018/19 tax year. Simply enter in your current salary and tax calculator wil do the hard work for you, showing you exactly how much income tax you’ll pay next tax year. Every person in the UK has a personal tax allowance of £11,850 this financial year (2018-2019), which means that for the first £11,850 that you are earning, you’ll pay no tax. That income can be from one or multiple jobs – just don’t forget to add all the income sources together. There are different tax bands, from 0 to £11,850 you’ll pay no tax, from £11,850 to £46,350 you’ll pay 20% tax, and from £46,350 to £150,000 you’ll pay 40% tax. For example if you are earning £50,000 a year. Out of this sum, you’ll pay the basic rate of 20% tax on £34,500 (£50,000 minus your personal allowance of £11,850, up to the higher earnings limit of £46,350): £6,900 basic rate tax will be deducted. Because you are earning above the higher rate tax limit of £46,350, you’ll also pay higher rate tax on £3,650 (£50,000 minus the higher rate limit of £46,350) at 40% – £1,460 higher rate tax will be deducted. You’ll pay no tax on the first £11,850 that you’re earning. You won’t pay any National Insurance if you earn below £8,424 a year. For any earnings above £8,424 you’ll have to pay National Insurance, at the rate of 12%. Also, if you earn above £46,350, your National Insurance will drop to 2%, but only for the sum above that limit. For the sum below this limit of £46,350, you’ll still pay the normal rate of 12%. For example, from your total salary of £50,000 you are earning a total sum of £37,926 above the National Insurance threshold that qualifies for the 12% rate National Insurance, which means you will pay £4,551normal rate National insurance. Also, because you are earning above the higher rate NI threshold of £46,350 a total sum of £3,650 will qualify for 2% National Insurance. You’ll pay no NI on the first £8,424 that you’re earning.